But given the sheer importance of politics in our society, the toxic wasteland of vitriolic rhetoric often yields truly compelling stories. The 2000 presidential election left the entire nation in rapt suspense as we spent weeks unsure of who our next president would be. Likewise, the 2008 presidential campaign was as deeply historic as it was fiercely fought. In 2008 and 2012, HBO Films teamed with director Jay Roach and screenwriter Danny Strong to bring these two vastly important stories of modern American political history to the screen. 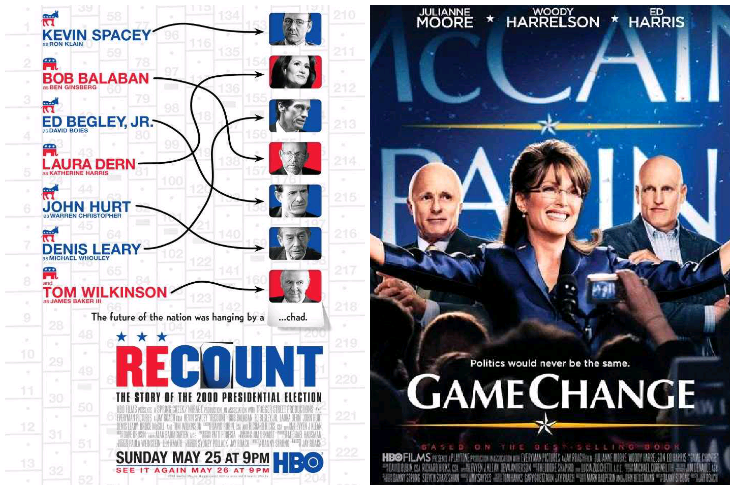 I went into an impromptu double feature of Recount and Game Change excited for some nonfictional political drama. I ended up satisfied but which is the better movie? I was only 14 years old when the country was launched into the turmoil that was the 2000 election. At the time, I was faced with such pressing matters as Christmas and the thought of starting high school in a year. So it was hard for me to grasp the significance of what was going on in the government. In the years that followed, I came to understand the importance of the 2000 election. By watching Recount, I was hoping for a view into one of the most politically turbulent events in the nation’s history. The movie opens on election day and we see elderly voters in Florida bemusedly eyeing their ballots. From there we meet the Gore campaign team, led by Gore’s former chief of staff Ron Klain (Kevin Spacey). Spacey is great in the role, of course. The character’s interesting relationship with Gore and the campaign served as the driving force of the movie. Despite an intriguing character at its center and a great and important story to tell, Recount still managed to make me feel bored. Everyone else is great in the movie too, don’t get me wrong. Tom Wilkinson and Bob Balaban in particular shine bright. Denis Leary (who I’m really not a fan of anyway) delivers one of his best performances. Still, there was just something missing for me. The movie unapologetically takes sides. The Bush campaign takes the clear role of antagonists as they do everything they can to get Bush elected. Painting Bush’s people as villains gave me reservations. I think it goes back to the partisan rhetoric and overdone dramatization of politics in the media that I detest so much. The movie felt less like a history lesson and more like an indictment of shady politics. The movie itself was accurate, and if shady politics were the target of its deeper themes, it’s something I can absolutely get behind. But still, the delivery left a bad impression with me. The uneven amount of time spent on Bush’s side of the fence deepened their vilification to the point where the movie simply came across as bias with an antagonistic group that seemed to behave more like bullies than anything else. That was probably the intention, but it wasn’t quite what I was looking for out of this movie. I would have rather had it take a more journalistic approach to the story and leave culpability up to the viewer’s discretion. I may revisit it soon to see if anything changes for me in a second viewing. I was 22 at the time of the 2008 election. It was my second time voting for president but I considered it my first real vote. It was the first time I really followed the campaigns and I felt like it was the first time I made a truly informed decision. Only being a handful of years ago, the spectacle that was the Sarah Palin reality show is now still fresh in my mind. The performances drive a great character study of one of the players in one of the most important presidential races in American history. Julianne Moore is simply magnificent. She disappears into the role and plays Palin’s naiveté and eagerness to please perfectly while balancing the more nuanced parts of the character with deceptive ease. Sarah Palin is a very complex character. As the movie unfolds, we see her transition into a well-meaning but extremely volatile thorn in her handlers’ sides. Rather than creating a caricature of an “easy target” character, the movie puts the spotlight on Palin’s more human characteristics. We laugh when she makes her notorious gaffes, but she becomes sympathetic when we see her watching Tina Fey’s impression of her. Simply put, Julianne Moore succeeds splendidly in reminding the audience that Palin is a human. Julianne Moore obviously gets a lot of recognition for her performance. So much so that it would be easy to say she carries the movie. 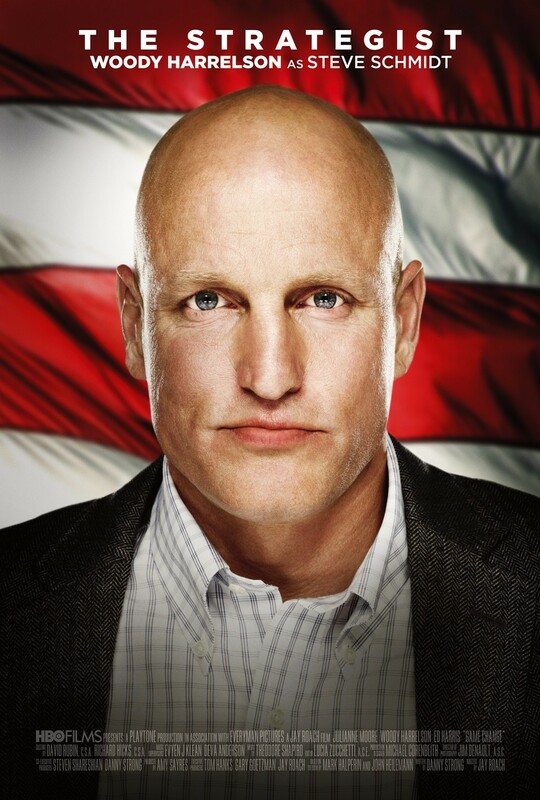 Honestly, however, Woody Harrelson’s performance as McCain’s campaign strategist Steve Schmidt is just as strong as Moore’s Palin. Schmidt is a character that is under unbelievable stress as he works to get elected a man who’s unwilling to go negative. Harrelson and Moore playing off each other is a study in stellar onscreen chemistry. I loved seeing their dynamic shift so drastically as the pressure of the campaign got to the characters. 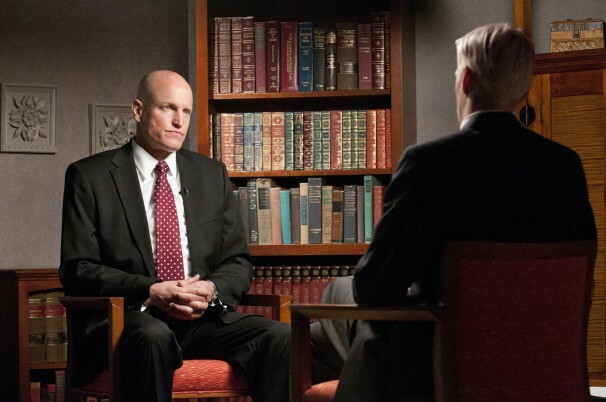 Harrelson is a likeable guy and that shows through with a character that could be vilified. Instead, he’s just a man whose back is against the wall and who’s desperate. It’s mesmerizing watching Harrelson work in this movie. Game Change takes a hard look at not only Palin, but also at the bigger picture of the campaign managers in charge of selling her to the American people. The end result is a scathing examination of the intricate farce that can, at times, be the American political system. It leaves you pondering how many of the more ridiculous events in our recent political history are strictly due to the American public’s desire for entertainment rather than information. To be honest, it’s a pretty depressing look at the political system. The way the campaigners try to mold Palin into something she’s not and never will be strictly to garner votes is sickening. I have no idea how much of the movie is fact, but my jaded view of politics makes it extremely difficult to believe any of this movie is fiction. I consider that to mean that Game Change is a big success. When it comes down to it, I flat out liked Game Change more. The longer time frame of the story and the rich characters to center the plot around gave it the edge over Recount. Game Change isn’t without its faults, though. Ed Harris plays second fiddle to Moore and Harrelson throughout the movie. He’s almost reduced to a glorified background character. That is understandable. 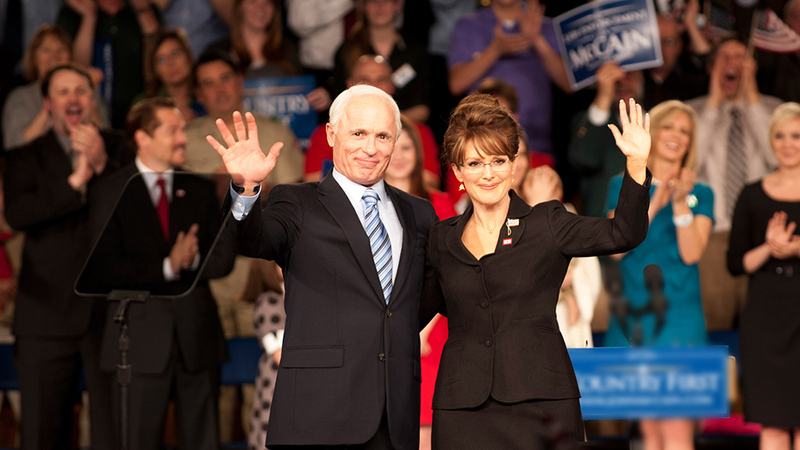 This wasn’t a John McCain biopic, it was a movie about Palin and our political system. Still, every time Ed Harris was onscreen, I was very aware that I was seeing Ed Harris. If the movie didn’t have such strong performances, I probably would have judged Ed Harris a little tougher. The bottom line, though, is that Game Change was a great character study. Hanging chads (or, I guess “hanging chad” is actually grammatically correct) don’t really have satisfying character arcs. Don’t forget to follow me on Twitter @ObsessiveViewer and like The Obsessive Viewer on Facebook. Also, be sure to check out The Obsessive Viewer Podcast (look out for a Bonus “Game of Thrones” episode tomorrow) and subscribe to it on iTunes. 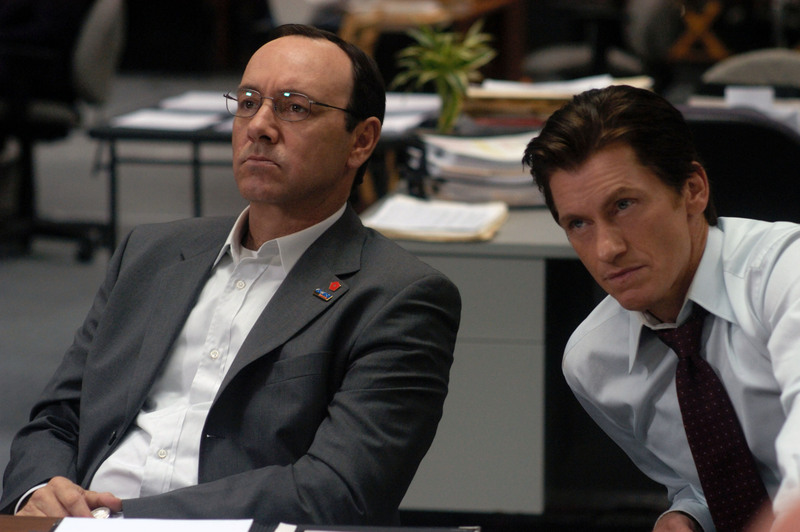 This entry was posted in Matt Hurt's Columns, Movie Reviews and tagged 2008 Election, America, Bob Balaban, current-events, Denis Leary, double feature, Ed Harris, entertainment, Game Change, Julianne Moore, Kevin Spacey, media, Movie Columns, Politics, Recount, Tom Wilkinson, USA, Woody Harrelson. Bookmark the permalink.